Hi, I’m Courtney. Welcome to my life. Have you ever tried using affirmations to lift your spirit? Every now and then I get a little down on myself but it used to be much worse. I recently wrote a meditative soundscape called ‘Sanctuary’ that uses affirmations as part of the lyrics within the thirty-five-minute piece. 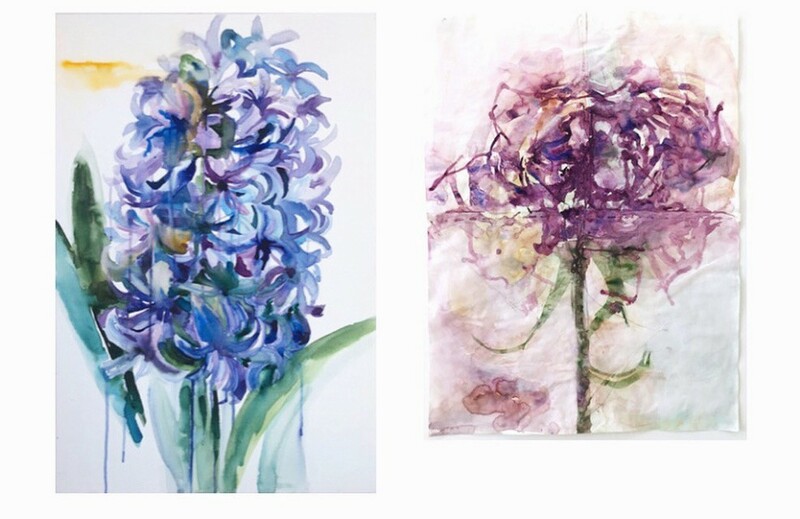 It was created for the art show ‘Flower Offerings’ by Kay Sirikul Pattachote at AG Gallery. 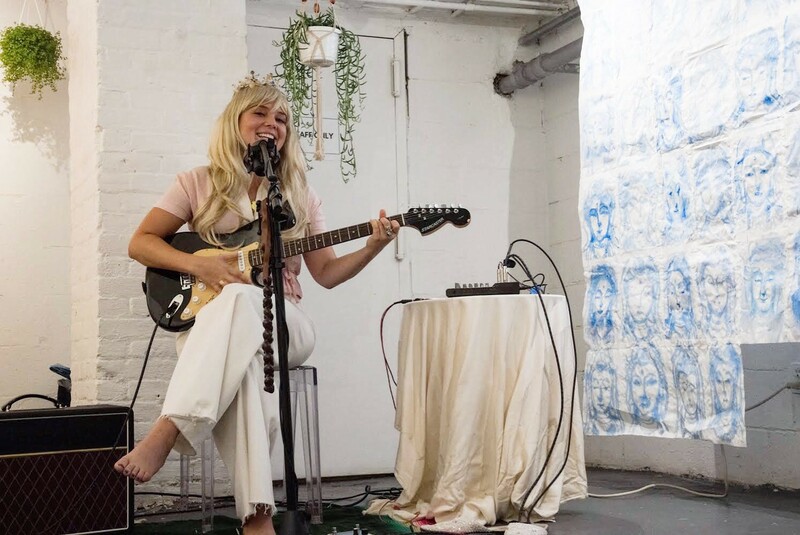 Courtney McKenna performing ‘Sanctuary’ at AG Gallery for ‘Flower Offerings’ on 9/9/18. I receive all that I believe. Kay and I met four years ago when I was working with her husband at a community art space in Bushwick called The Vazquez Building. She was creating flower paintings and I had just befriended a gardener who invited me to bring people to plant spring vegetables with him in the plot of land next to the track in McCarren Park, so I invited her to come garden with me. At that time in my life, four years ago, when I would have a particularly rough day with depression I would console myself by going for a run in the neighborhood. I’d often find myself crying just outside that garden and admiring all the nature that seemed to spring up out of no where. The garden was unmarked and unofficial. The caretaker had inherited his job from the previous woman who tended to it. He named the plot of land in honor of her after her self-inflicted passing from depression. The space was open to everyone but it was not promoted or even registered with the Parks Department. It was a safe haven, a sanctuary, where the wild plants and flowers were tended to by guardians who knew of their worth and who recognized the value of a fragile, unkempt life. On my own journey to sobriety, I learned to understand what I was feeling by naming my emotions. Then I started to pay attention to what made me feel those emotions so I could better deal with them. When words would escape me, I paid attention to anything that would make me feel better. Gardening, just like music, was something that made me feel better. I used to garden with my grandma in her tiny Southern California backyard and it was comforting for me to remember her. 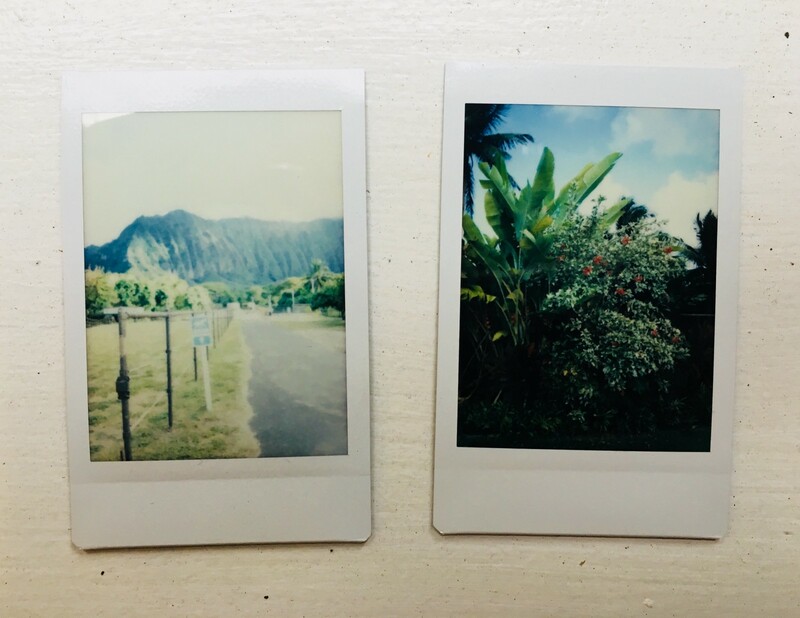 I believe that there was also a part of me that was trying to rediscover the childhood wonder I felt when I was about six years old at my Grandpa’s home in Hana, Maui. The home was surrounded by profuse nature of tropical flowers and fruits that were bigger than my own head. Lava rock walls covered in thick moss lined the front yard and formed a magical secret garden that reminds me of the Cloisters on a misty summer day. In 2016 I interviewed Jay Sanguinetti, Associate Director at the Center for Consciousness Studies at the University of Arizona. At the time I was making costume jewelry with my friend Terese Pagh and I was interested in learning more about perception so we could better understand why people were so attracted to the shiny, iridescent material we used. The material seemed to bring people joy and delight of which I wanted to create a larger installation experience for. We talked about everything from perceiving to interpreting and how brain neurons are triggered in a sequence of competition before we are able to comprehend the nature of a visual object and give it a name. Most relevantly, we discussed emotions. Emotions are (generally speaking) physical, not conceptual or interpreted– they are embodied. In official studies, scientists watch the change of heartbeat and body temperature in a patient as they instruct them to imagine a feeling. This simple concept helped me to understand why calming actions like gardening or playing music are the key to changing my mindset. Our emotions and bodies are very interconnected. By refocusing my energy into action that includes naturally beautiful things I have been able to start to heal my occasionally reckless heart. Living in New York City, it’s easy to forget about nature and how healing it can be for our human spirits. We are part of nature but we often act as though we are above it in order to capitalize on what this world has offered us. This used to bum me out but I am grateful to have found others, like Kay, who feel as I do. It has been an honor to create music for her show ‘Flower Offerings’. I normally write music to help me process my own confusing emotions but with a renewed sense of hope, I wrote this piece based on how I wanted to feel — peaceful and serene. Using affirmations as a portion of the lyrics in ‘Sanctuary’ felt powerful and refreshing each time I would practice the piece. I have always been sensitive to the power of words and I believe that our thoughts are tied to this power if we believe them, just as our emotions are tied to our bodies. It is important to recognize what we say to ourselves and what we tell others about ourselves. Even if we say we are “just joking” after putting ourselves down, the joke often becomes a reality. I hope that everyone who gets the chance to experience ‘Sanctuary’ and ‘Flower Offerings’ this month is able to walk away from the performance with a fresh sense of self. Just as the garden caretaker showed me empathy when I needed it the most, I hope that my music and Kay’s beautiful paintings will empower all of our guests to experience greater compassion in this world and recognize their own natural beauty within. You can experience ‘Sanctuary’ for Flower Offerings this Sunday, September 23rd at 6 PM at AG Gallery — 310 Grand Street in Williamsburg, Brooklyn. Tickets are $12 and available at the door or through this Eventbrite link.